After President Obama's State of the Union address last evening, we wanted to remind everyone that state governors give similar addresses each year, where they present their policy ideas and priorities for the upcoming legislative session and reflect on the previous year. One common topic is—you guessed it—taxes! Here are all things state tax policy-related in each of them. We were even mentioned in one (spoiler alert: it was Georgia), and several governors alluded to our State Business Tax Climate Index. 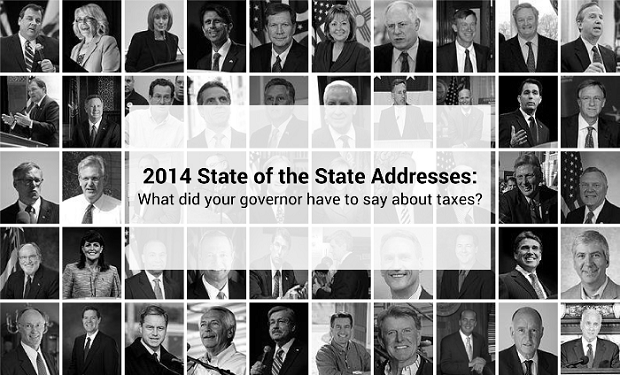 Click here to see what your state governor said about taxes this year. Be sure to check out Governing's neat interactive map tool aggregating all of the speech transcripts and videos.